"We worked with four other agents before meeting Scott and we'll never go back. Our experience with him was incomparable." — Martha B. & Adam B. 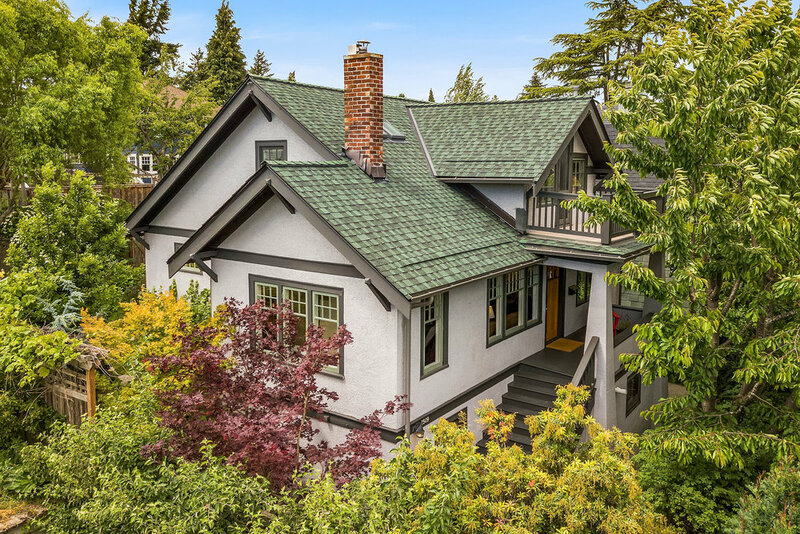 Full of heart and good surprises, this 1918 Craftsman sits up on a prime, sunny Wallingford corner for privacy and light, ready to welcome new beginnings. After 33 years of stewardship by one owner, many important upgrades are done, leaving you a strong platform to play with your dreams. Strolling distance to Greenlake and all of Wallingford’s delights. The Story: We helped our client buy this unit 19 years ago. Tenants had trashed it. We gutted it and made all the design decisions to tap into current trends popular with the young buyer profile at a cost that allowed for handsome returns. The result? 3 offers and a sale 6% over the asking price with no contingencies. Hiding at the heart of the action, a house and garden to call your own, tucked on a quiet laneway. Full details at Castle913.com. This little castle is right-sized for complete independence without maintenance overwhelm, leaving you more time to enjoy the vibrant neighborhood. So park the car, step out the door and elevate your heart rate with all the uber-hip Pike/Pine area has to offer. Then return home to your own quiet domain. When a home has hosted happy lives, you can feel it. Full details at Baker2509.com. 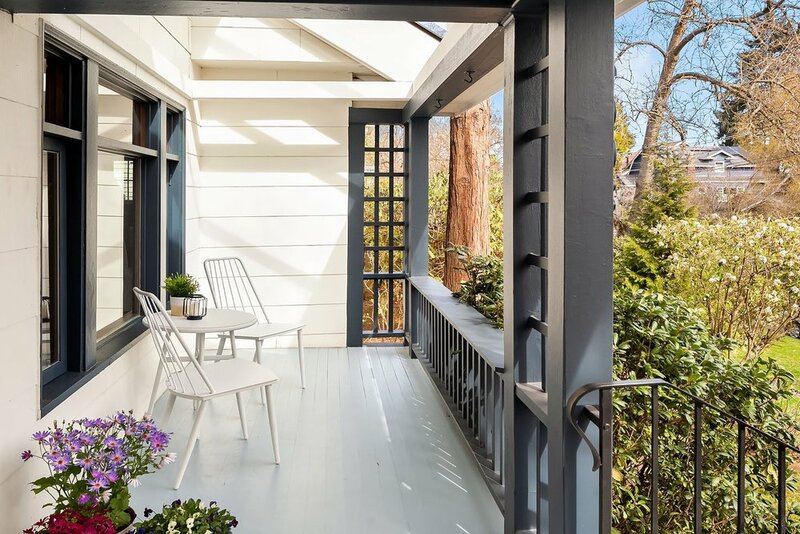 Extensively remodeled 1921 home overflowing with good surprises from head to toe, indoors and out. Level alley access, lush gardens, privacy, tasteful finishes and an alarmingly chic, fully finished lower level. Prime location on one of Mt. Baker's most sought-after streets, where residents stay for decades. Walk to the park, shops, beach and light rail. Room to roller skate in this airy corner penthouse with distant concrete ceilings. Full details at Lumen312.com. Step into the light. They say the architect of LUMEN designed this corner penthouse for himself, but never moved in. Instead, the current owners did, and it's never been on the market since. Until now. Relish the exquisite balance of private spaces and an open great-room just begging for cocktail parties against a backdrop of city lights. Walkable to everything. Floating above Belltown with saltwater views. Live in a light box with floor to ceiling windows at the intersection of city and sea. The Story: A tenant destroyed the floors but going through the lengthy approval process with the HOA to replace them would have caused us to miss our ideal market timing. So we made everything else fresh and crisp, brought in targeted staging and presented floor options as a seller credit…then marketed the heck out of the lifestyle and views. The result? 3 offers, a sale 11% over asking and the cherry on top: the buyer let the seller keep the floor credit, worth an additional $8,000. The Story: Balancing modern retreat with unparalleled access, this quiet town home was steps from light rail and the hottest spots in town. But how to position a 10-year-old property to compete for top dollar in a sea of new construction? Meticulous market prep to bring back the crisp freshness and current colors of "new". Then bring in target-buyer-specific staging to reference the hip, modern, urban styles our niche buyers love. Top it off with aggressive marketing to promote the neighborhood lifestyle as much as the unit itself. The result? 12 offers and a sales price 22.4% over asking. Elevate your lifestyle. Top-of-the-city views & well-stewarded luxury supported by hotel services. The Story: A great layout on a high floor, but one side of the unit faced into an office building, disrupting privacy. We frosted the 'fishbowl' windows, transforming them into fully private, modern light panels, refocusing the eye out the windows with good views. We also used the owner's possessions to stage for clean sophistication and warmth. Targeting the Amazon explosion, marketing focused on the building's hotel amenities and its less-obvious but actually great micro-location walking distance to work and current leisure hot spots. Step into the light. One-owner sky nest open to expansive lake, Rainier & Bellevue views, yet private from the street. The Story: We worked for close to 6 months helping these sellers understand market conditions, transition out and prepare the home. Our signature merchandising and marketing injected energy into a slowing summer high-end market, creating a buzz around this home that resulted in 6 offers and a sale 16.6% above asking with a 2-week closing. 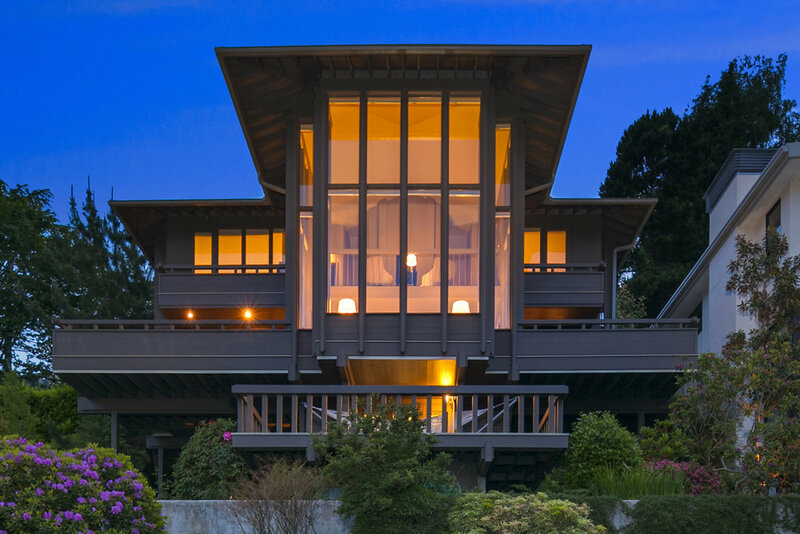 1974 custom-built Ralph Anderson in Schmitz Estates, with exquisite privacy and drop-dead bluff views. Featured on Curbed and in The Seattle PI. The Story: How do you sell a 'diamond in the rough' without making expensive and lengthy updates or getting into endless repair negotiations with buyers? Selective, highly strategic preparation of the home plus creative 'imagination sparkers' that help buyers see the dream as if it's already true (ask me about virtual remodels). The result? 9 offers, no contingencies and a sales price 28% over asking. A block off the water and cantilevered out into inspiring views. An important, published example of Mid-Century Northwest Modernism. The Story: Our meticulous preparation, careful pricing and a strategy to emphasize the architectural legacy resulted in tremendous attention from the market (including a feature on Curbed), and 6 offers. We could have sold for considerably more, but the sellers chose a lower all-cash offer with a one-week closing. It's good to have options. Quintessential lake house with broad views and smashing indoor-outdoor flow for all your gatherings. The Story: Selective market prep with a limited budget, staging the home with the owner's own things at no extra charge and nailing the lifestyle marketing resulted in a quick sale for top dollar. The only private residences situated within Bellevue's Downtown Park. The Story: We worked for several months to help the seller transition to retirement living, prepare the unit for market and strategize our positioning. The result? 12 offers and a sales price 15% over asking. 1965 custom build designed by Gordon Varey, AIA award winner and former Dean of the UW School of Architecture. The Story: Our marketing of the architectural pedigree of the home resulted in a feature on Curbed. Our careful curation of the presentation of this unique home resulted in 3 offers.